My Absolutely Favorite Ride @ Islands of Adventure. Poseidon's Fury is my favorite ride at Islands of Adventure in Universal Orlando. The area of the park where Poseidon's Fury is just so visually pleasing. Universal did an amazing making the ruins and broken statues. 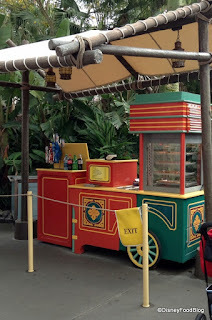 I am absolutely enamored with the outside of this ride. It's so larger than life. As you walk through the ruins into the ride you can almost picture yourself in ancient Greece. It's breathtaking. I am a nerd. I accept this of myself. But a cute nerd who loves mythology. The line to the ride isn't very long. As far as I can tell, the line always states its a 20 minute wait. Once your in the ride, you are inside a cave of ancient Greek building which has artifacts and tons of hieroglyphics on the "cave" walls. Once inside the ride you walk into a cave where archaeologists are obviously digging up some stuff. A girl comes from these stairs that attach to a hole in the wall. She introduces herself as Taylor and proceeds to tell us about the Professor who went missing and that she's all alone. We hear the Professor on the radio really quick as he warns us to leave this place now. The lights go on and off. With her flashlight she finds some verbiage on the wall, she reads it all. With those words she awakes a god. And that's where our journey begins. The pissed off god opens a door where we walk through another room with ancient artifacts. We awaken another mythological being who tells us we have to find Poseidon's trident. Taylor runs back and forth on stage and picks up the trident with the intention of opening another door. The second mythological being grants us entry to a room but first we have to walk through a ring of water. THE RING OF WATER IS SO COOL! Basically it's a tunnel of flowing water. It's hot as hell in there. And you get a little wet. Mostly, my glasses got the worst of it. I was fogged and splashed on my lenses at the same time. And the floor is squishy. So SQUISHY! Moving on to the next room. Taylor talks more and we hear more of the bad guy. Then the lights go out. It's pitch freaking dark. Like is my hand on front of my face dark. The room changes to this rock pit which explodes of water and fire during a battle of Poseidon and the bad guy. It's a cool dorky ride which really isn't a ride at all it's a walk along. The technology of the graphics are old as DIRT. It looks way 80's or 90's lasers and grainy graphics. That doesn't bother me. It's a unique ride with pretty cool backstory. The ride is visually pleasing if you put aside the 1980's/1990's limited video. 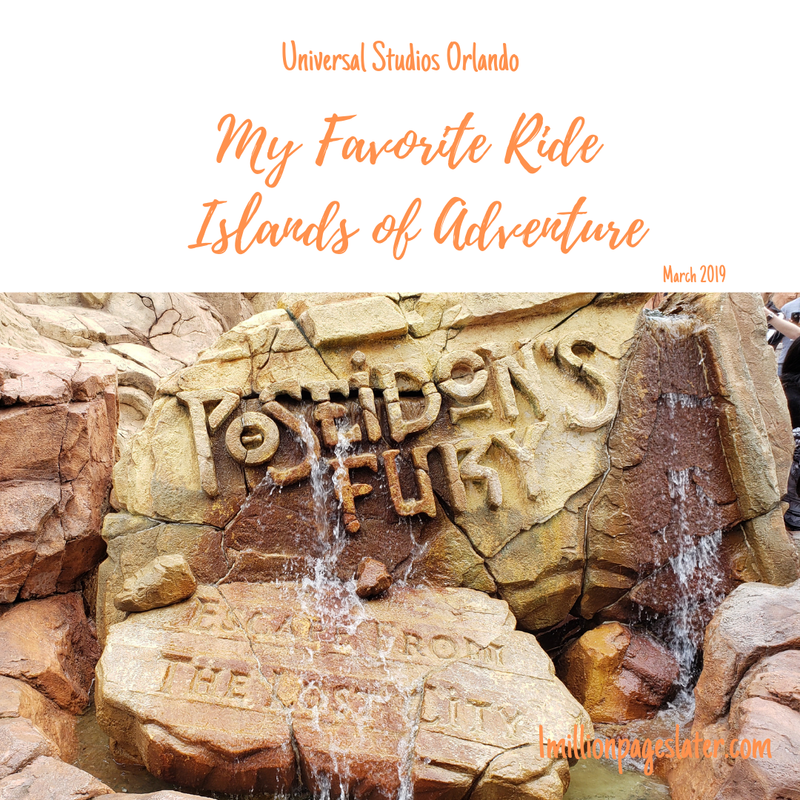 It's awesome and you should ride it the next time you go to Universal Orlando Island's of Adventure.